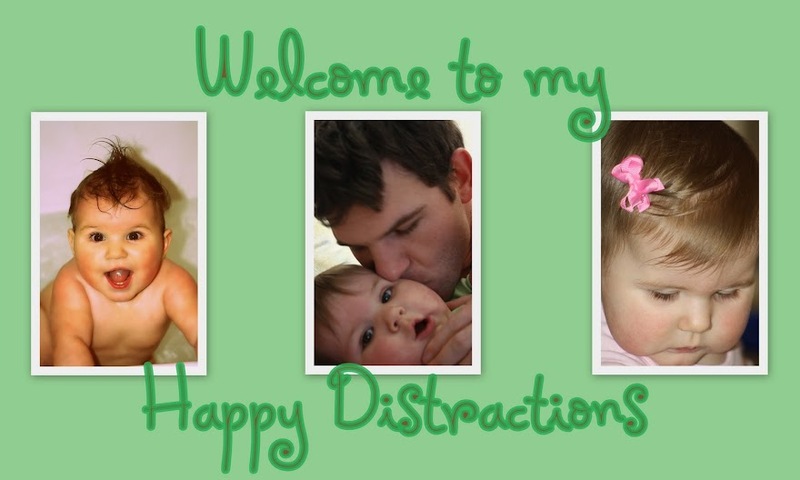 Happy Distractions: Our First Smile Caught on Camera! Our First Smile Caught on Camera! Ava's favorite spot in the house is the changing table! Don't have any idea why but she loves it. In fact a couple of days ago she was fussy unless she was on it so we picked up the changing pad and moved it into the living room and left her on it. Daddy was on diaper duty the other day and ran for the camera and got her smiling on camera finally....we have been trying to catch one for a while and haven't been near the camera when it happens. She smiled very early on though, mostly in her sleep but in the last few weeks she would smile AT you! It's so cute I wanted to share!